This recipe is one of my Mom’s favourites, and it was a lunch treat I loved finding. Simple and elegant, it’s a classic. Mix eggs with cooled butter, then blend in sugar and mix till a ribbon forms. Sift flour and baking powder together and add gradually, mixing all the while. 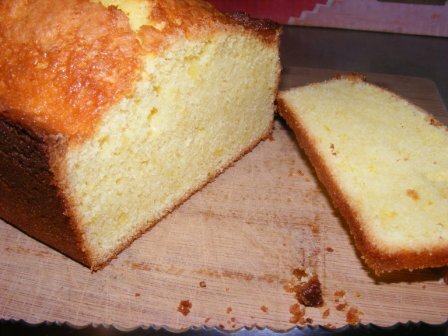 Stir in milk and lemon rind. Pour batter into greased loaf pan. Bake at 350F/175 C for 1 hour or until a knife inserted in centre comes out clean. Immediately on removal from oven, pour glaze over loaf while still in pan. Let cool, then remove from pan.